Friends, here’s something very useful for app developers, especially for android developers who are looking for material design UI kit. This freebie is an e-commerce app UI kit that’s created using the latest concept of material design. 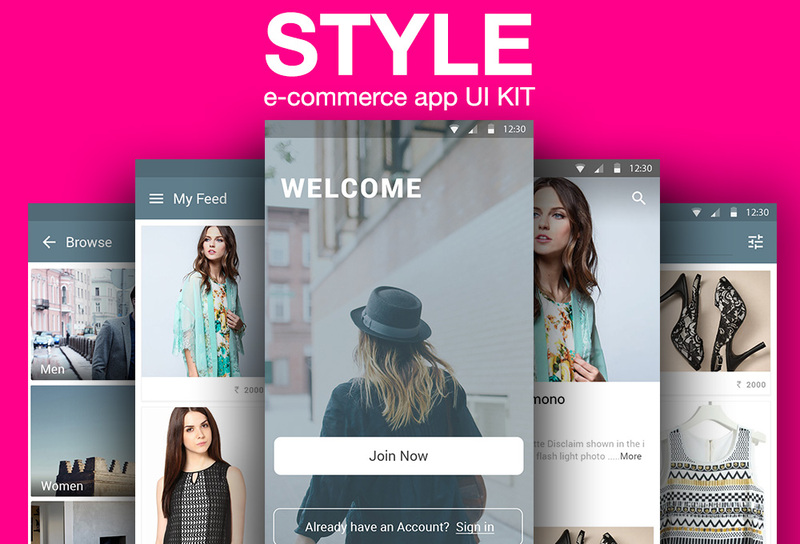 The set includes a handful of the important user interface screens required for e-commerce fashion mobile application. The kit is created by Srikant Shetty.